1 x 1 Gram of OG Kush shatter by Friendly Extraction Co.
My least favourite shatter that I’ve ever tried. Got me high yes, but I didn’t like the taste and it was a super dark colour, much more so than pictured. Also rather rarsh. This is worth the price as a budget shatter. Kind of soft texture but does the job. Thumbs up! Your MK Ultra Shatter was really good. One dab and your blasting off most excellent to !! 3rd time ordering, this is a favourite for when it’s too cold to smoke outside. Pretty good value for the money. For the price it seems quite good. A definite re-order item! Texture on the pullier side but not to the point of it being sappy. I was not fond of the taste at all, but the potency was decent, but not long lasting. Very dark like in the picture. Well worth the price, especially for not heavy concentrate users. Great product, great price, can’t beat that. 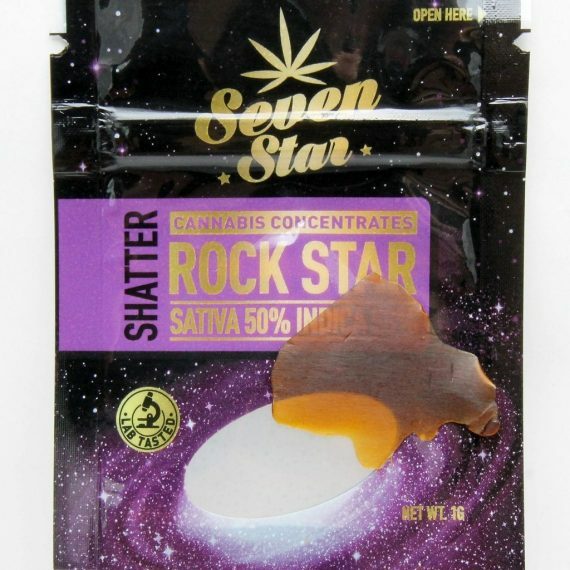 Best deal for shatter around, great taste and smell. I will be buying it again! Best deal I’ve found, great buzz. You can usually pay twice the price for the same quality. The flavor of the shatter was good. I enjoyed smoking it on top of bowls. Reason for giving it a 4 is that it was hard to work with. Great price. Ordered this a few time and every time it is great. Great price , great high! very strong and much appreciated for a gift. Lots of flavour and loaded with Terps! Nice head buzz. Cheap price, but not cheap quality. Def not primo stuff but very happy with Rockstar Shatter for the price. Simple packaging, nothing fancy. Good! Saves me a few bucks. This product does provide a very relaxing high, my only problem was that it was very very sticky (due to the weather, I’m sure!!!) so it was hard to remove from the parchment and left residue all over most things it came in contact with. Other than the mess factor, would definitely recommend. Hello K dot, shatter is hard to deal with in the heat, for future reference I would suggest putting it in the freezer quickly to firm it up and keep it in the fridge when it is hot out. a little bad timing on my part , i ordered on the hottest day of summer and it came a little separated in the mail , still smoked it ,still great for 25 a g , i pay 60-80 where i am will def buy again . Little sticky but does the trick. I get this awesome stuff and my buddy turns into the best vape juice in the world ! Can’t beat the quality of this stuff for the price. I seriously love this stuff! It doesn’t shatter like shatter which honestly I like for less mess and less loss of product. Got a gram for free and bought one as well. Pleasantly surprised, this is a great shatter that keeps me lifted at a great price. Would def recommend giving it a try. Definitely you cant go wrong with the price!the flavor and firepower is tight!and last thing its more of a pull n’ snap rather than glass shards kinda shatter. Pretty freaking good and consistent every time for this cheap shatter. 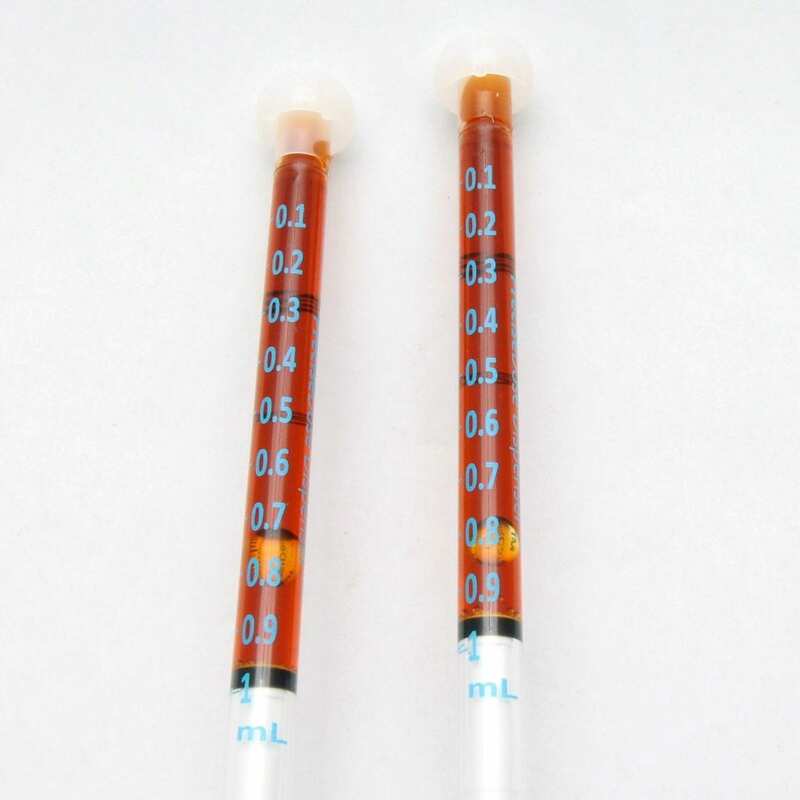 Budget concentrates! Got my 2gs today pretty good smoke, definitely rockstar head buzz good for my headaches! Very well worth the price. I will buy more! Received free in my order!!! Thank you GREENZ. I don’t smoke a lot of shatter but the second hit was a game changer for me. looking forward to sharing next order with more friends. Fantastic for the price. Definitely exceeded my expectations. Got this for free in previous orders but bought a bunch more because the price was right. This batch seemed a bit more sappy but no complaints here. Hard to knock since it’s a freebie- nice sour smell and fairly potent overall. A bit too dark, and the effect could be stronger. But not bad for $25. Dirt cheap for some.e dirty looking sap but man she hits like my wife. Got the free gram of this and it had a nice taste! 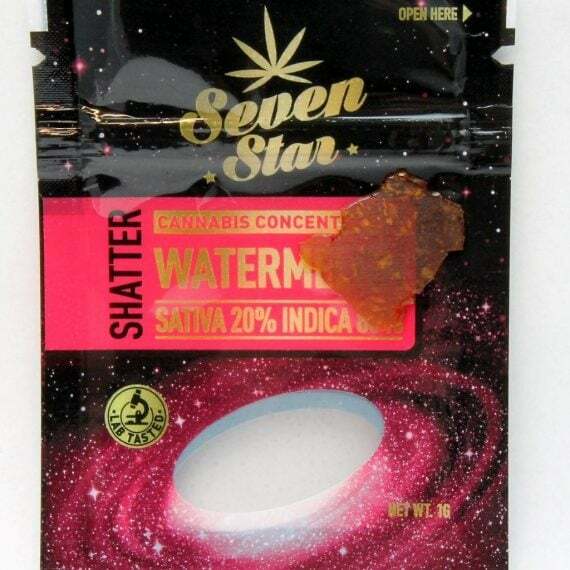 Great price for a a decent shatter. Perfect price for an affordable concentrate. It’s dark and sappy and looks cheap but looks are deceiving. Good terps, clean burn and nice solid rockstar effects. I got really fresh Shatter. Once I figured out how to get it off of the package as it was really sticky. It was amazing to say the least sure helped with my anxieties. Thank you Greenz your the best !!! Got this as a sample with my order and loved it! Was my first time trying it and will definitely be adding it to my next purchase. Takes any session to the next level. Laughed extra hard after smoking with this! Love the sample – Thank you!!! I received this for free. No one paid me for this review. ***** 5 star. Was super happy to get this with my order. I really wasn’t expecting much because it was free but I got a really nice surprise. Very terpy. Great looking and no complaints on the high. Thanks again greenz for the samples! If colour is the most important thing to you, then this is not the option for you. But if you want a potent, stable shatter at a discount price invest in this!! Not a cannasieur product, But in this price range it’s better than most competition. I would totally buy this again! Dark but I like it’s consistency ! Nothing to write home about, NOTHING TO COMPLAIN ABOUT. great product for a great price..
I’ve never been disappointed with a greenz order..
Thst says a lot.. I place 2 a month…. received a free sample of this with my order I loved it so much I had to order more…and for the price who can complain…found it very smooth and tastes great! Got as a bonus with my last order and for the price I already got more coming. Great stuff! 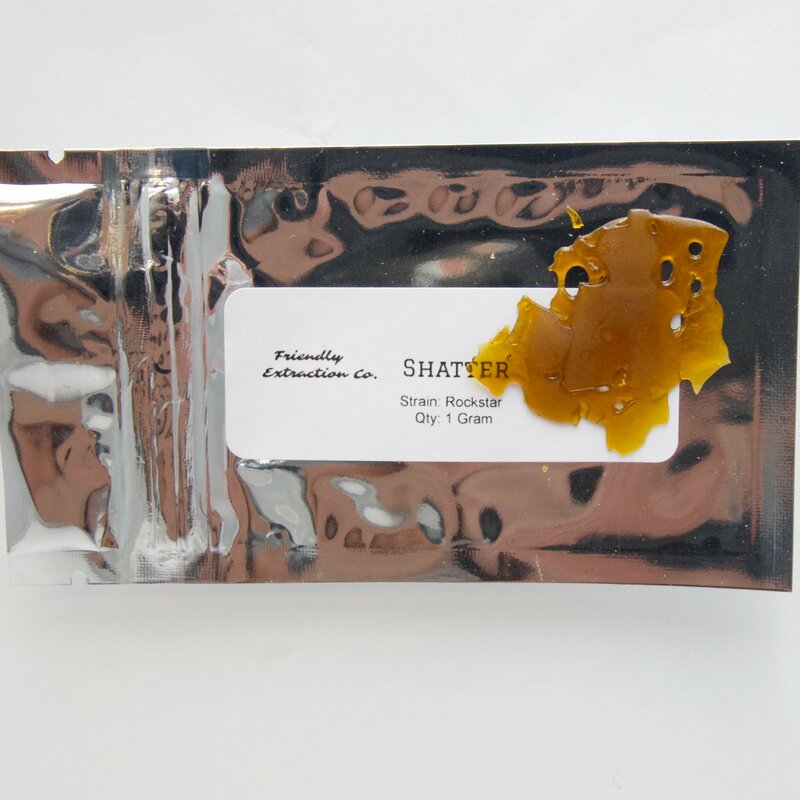 Solid budget shatter for sure! An excellent buy for the price. They sent me a gram of this and it was a very cool bonus. A nice clean shatter, a tiny bit dark and not quite shatter at room temp. Surprisingly potent and tasty, but definitely a budget shatter. If thats what you’re after this is very nice. came a freebie nice nose to it very nice night time dabs.